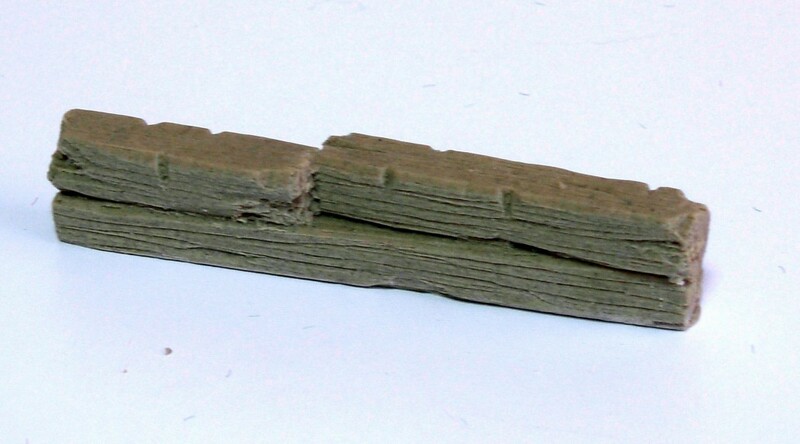 Set of original cast resin depicting wooden barricades - allowing to make defense terrain. Excellent element enrichment battlefield, which is aslo important tactical. This model is cast resin for self glue and painting. The model is in the rough to be glue, painted and suplemented with static grass and other craft supplies.